Hattenhauer Energy Co LLC (HEC) is a family owned company. HEC offers a full line of Sinclair and 76 Lubricants. Various package sizes and bulk orders available. On hand products include gasoline, diesel, heating oil and lubricants. Product is available for pick up or delivery. Excellent customer service sets HEC apart from the competition. HEC was established January 1, 2010. 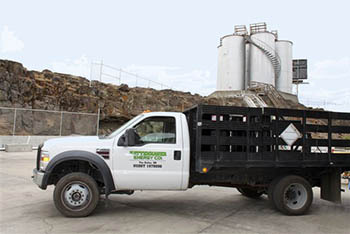 HEC has three bulk warehouses (Arlington, OR, Goldendale, WA & The Dalles, OR) serving Hood River County, Wasco County, Sherman County, Gilliam County, Klickitat County, Skamania County and surrounding areas. You can expect excellent customer service, on time delivery and quality products.